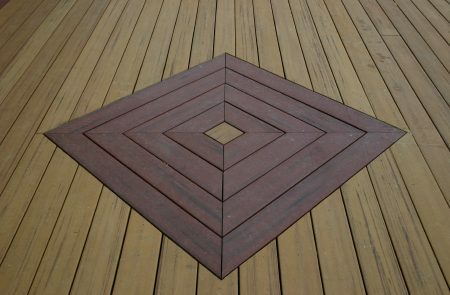 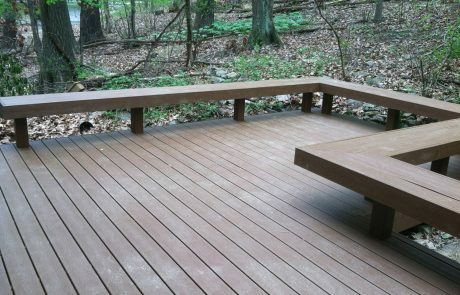 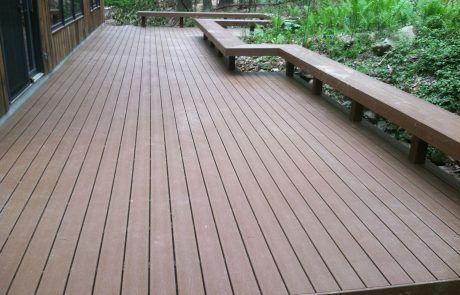 As a certified Trex installer, we have constructed many decks since Trex was first introduced in 1995. 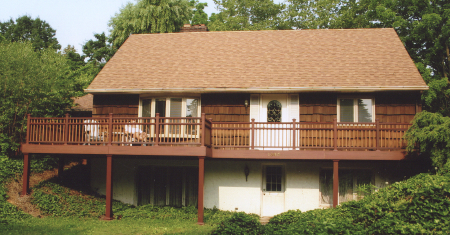 On our Zionsville project we built a Trex deck and rail onto this old farmhouse. 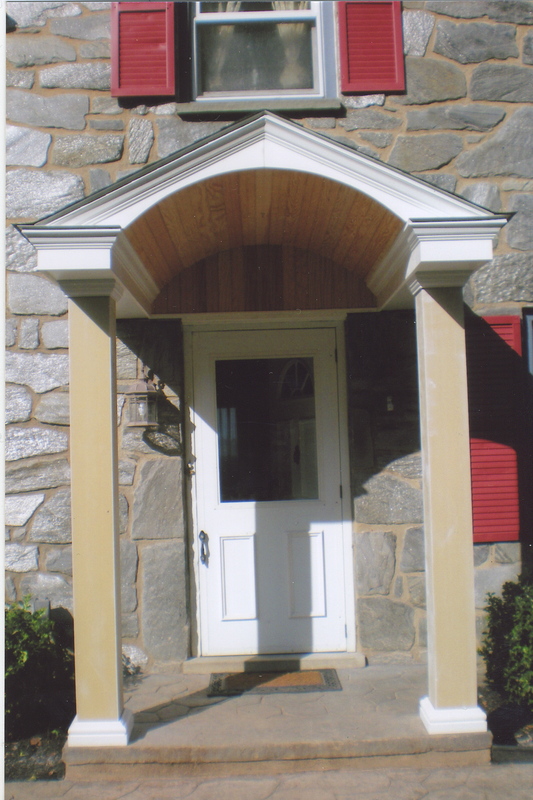 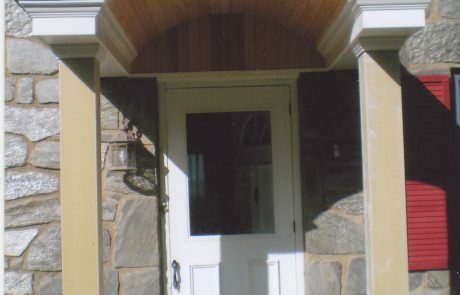 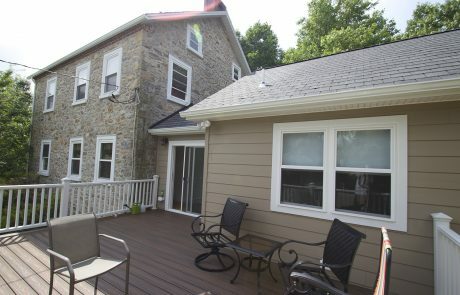 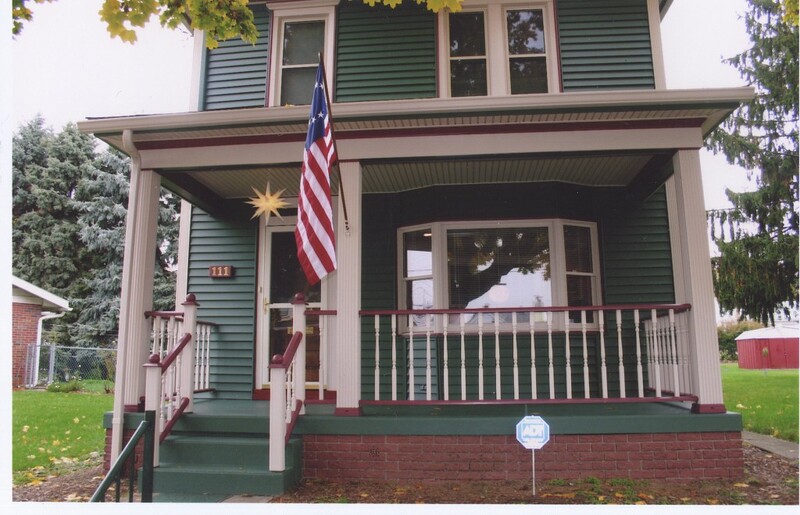 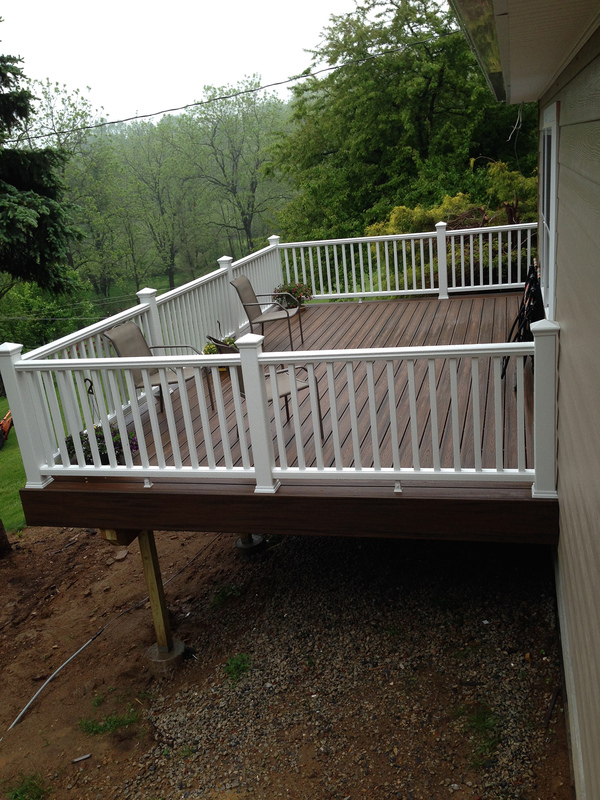 The white railing gives it that classic look, and the deck color compliments the stone as well as the siding. 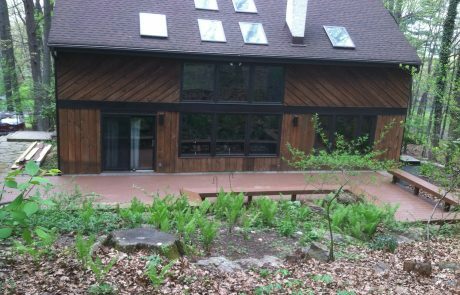 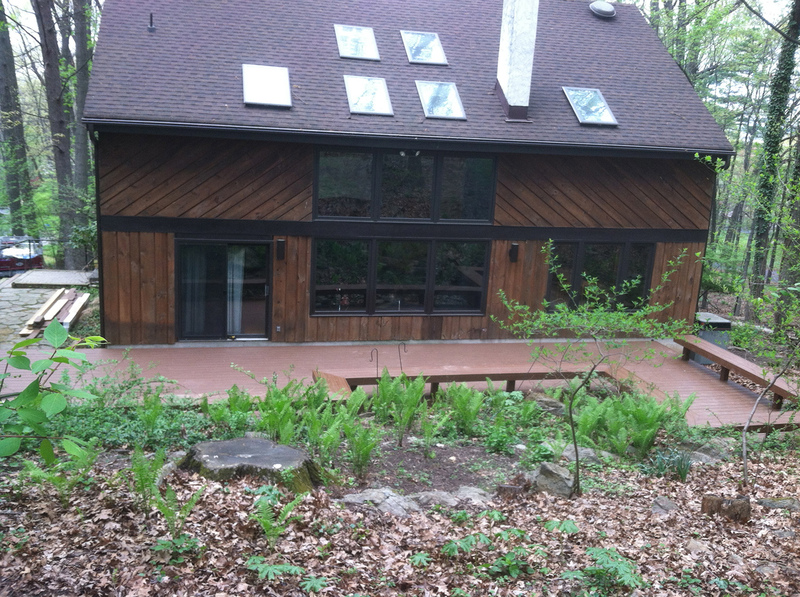 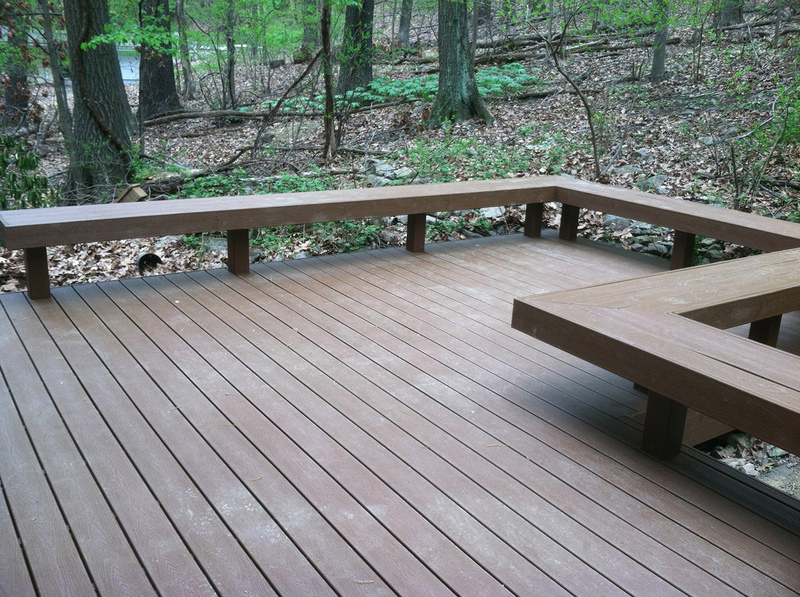 Along the Monocacy Creek, we tucked this huge deck in between the trees and woods. 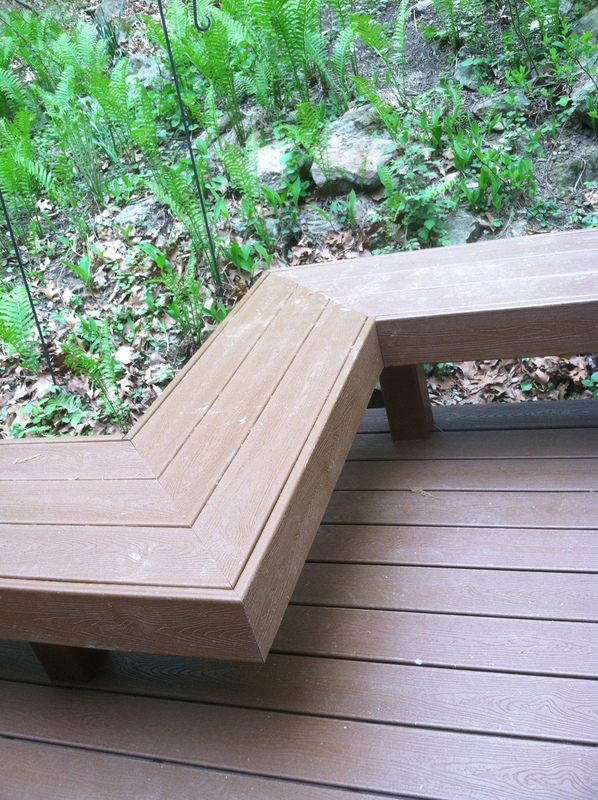 Since we were so low to the ground we installed a wrap around bench to create tons of seating for parties. 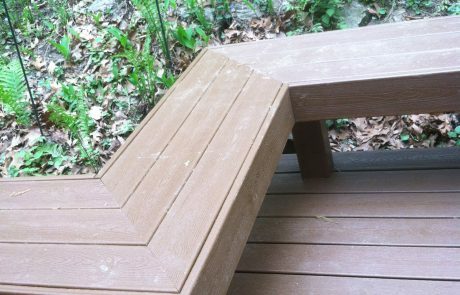 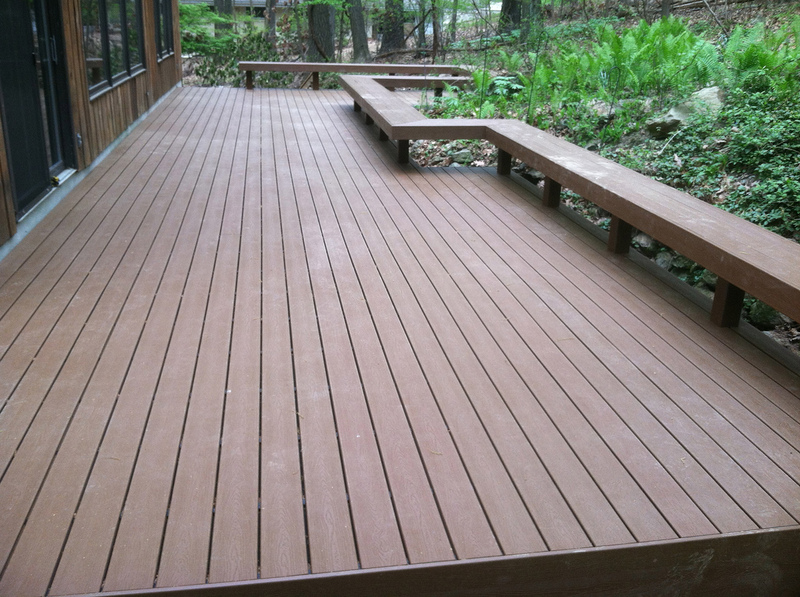 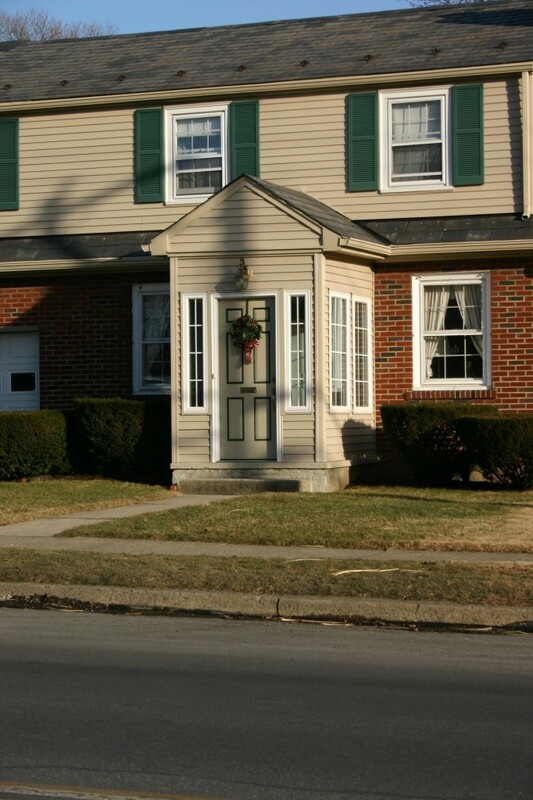 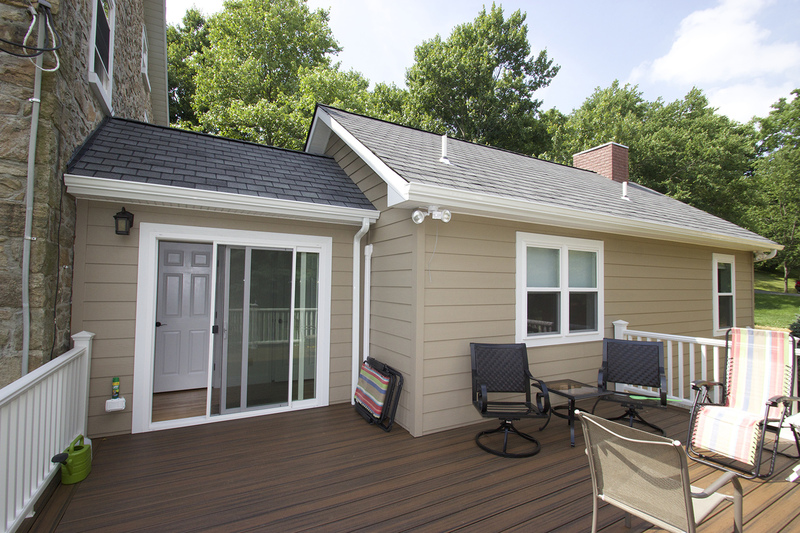 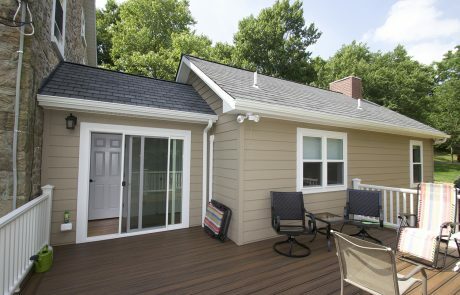 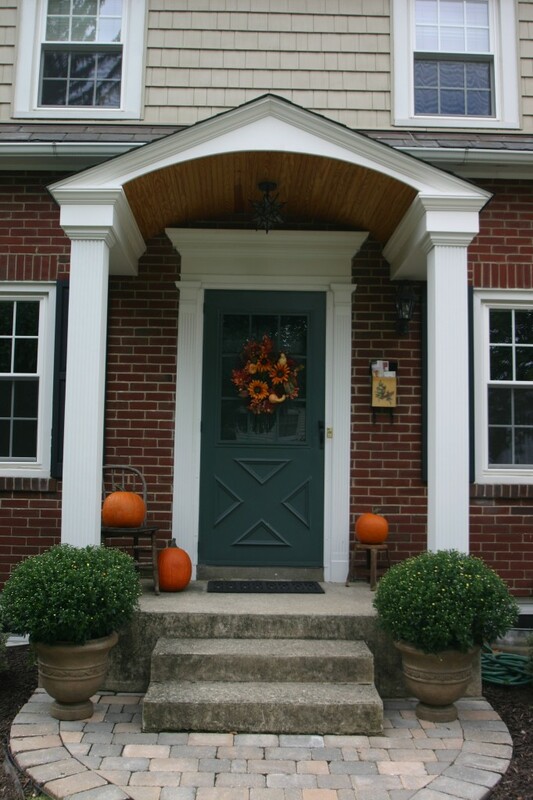 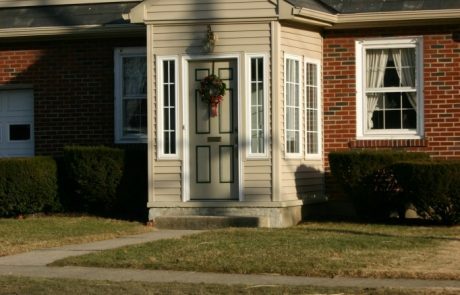 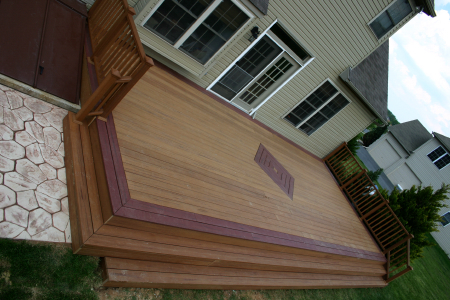 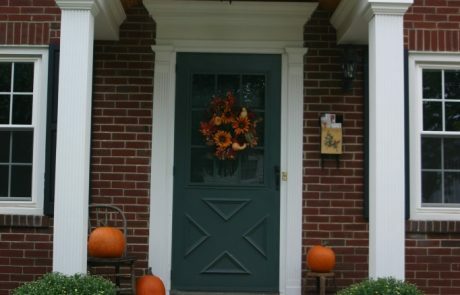 In Upper Macungie Township, we built a two-color deck with boarder and diamond in-lay. 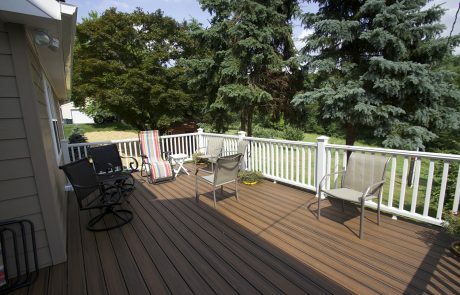 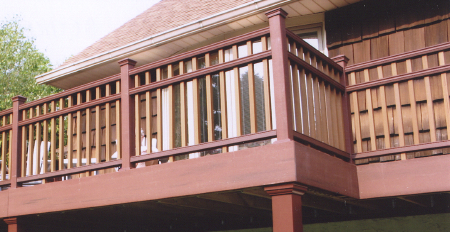 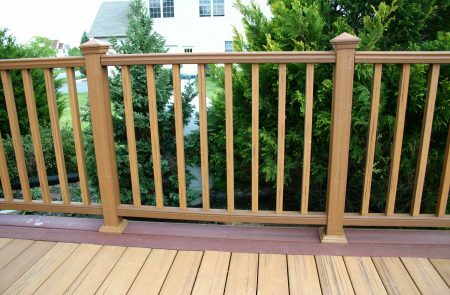 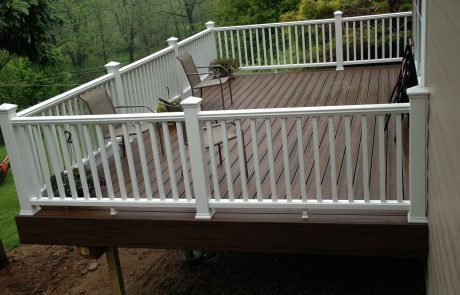 This west Bethlehem deck wraps around three sides, has a double top rail, and two-color railings.